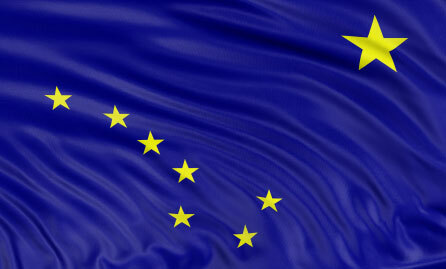 Alaska has made its mark with a rough and rugged reputation that doesn’t immediately cry “Come here and cook”. But there are a few worthy culinary programs offered by Alaska colleges that are enough to lure any wayward cook to the great white north. Besides, the experience of a lifetime waits in one of the most unique areas that humans have chosen to occupy. Tourism is alive in Alaska, so there are cooking opportunities at resorts and lodges alike. The state has a natural strike against it in that it is not a great agricultural region, so food must be carted in with considerable effort and expense. As a result, food costs more than in the lower 48, but the bounty of the land and sea still provide meat and abundant seafood to satiate natives and hungry visitors. If you study culinary arts in Alaska, expect to learn how to cook seafood, for the ocean is a major player in the state’s culinary evolution. Fish and seafood are hauled fresh and sweet from the cold ocean waters everyday, steps from some of the most noteworthy restaurants in the state. As a student you will be tasked to imagine new recipes for halibut, salmon and scallops. And you’ll learn local preparations that you simply won’t see anywhere else. Ambitious students are best served to investigate every networking opportunity and industry exposure available. By taking consort with local like-minded culinary arts professionals, you set the stage for employment and internship opportunities that get your career rolling after school. Get to know the best chefs and become familiar with their best dishes, so that your formal schooling is sprinkled with liberal doses of real life employment scenarios. When your student budget doesn’t allow for frequent visits to fine restaurants, consider the homegrown festivals that feature local chefs putting their best bites forward for eager foodies. Embrace these festivals by participating or volunteering in a way that will earn you valuable contacts and a culinary education beyond your wildest dreams. Kodiak Crab Festival – This hybrid festival is held over Memorial Day Weekend and features a slew of vendors peddling their wares. And sometimes their wares are tasty crabs, so that’s the good news for culinary adventurers headed to the crustacean capital for a look into local crab culture. Taste of Juneau – Celebrating the culinary arts in Alaska, this festival features local vendors and food artisans showing their best stuff against a backdrop of music and regionally crafted products. Eating contests are a novelty act at this foodie fun fest. Blueberry Festival – Girdwood – Picking blueberries is a focal activity at this festival that celebrates a local organic feature of blue-hued esteem. Dessert contests pit amateurs and professionals against one another in displays of creativity that are perfectly suited to the celebrated fruit. Taste of Mardi Gras – Anchorage – The surreal geographical disconnect between the occasion and the venue doesn’t equate here, until you open your senses to the sights and sounds of this New Orleans tradition, right here in Alaska. What a great opportunity for a student in the north to become a student of the south, when local culinary trend setters think outside the box to produce Bayou classics with an Alaska twist. Which Alaskan Culinary School is Right for Me? The hospitality field is a broad window of opportunity that must be distilled for efficient navigation. That is to say, defining your culinary or hospitality management goals before setting forth on an educational path is beneficial. Are your skills and aspirations aligned with a kitchen job? Or are you more inclined to manage the front of the house at a fine dining restaurant? What are your final culinary and personal goals? Does the school provide proven job placement? Are established industry networks in place for furthering your career? Is a well-managed job board available to connect you with potential employers? Do you have access to a student-run restaurant in which you receive training, as well as learn on-the-job kitchen experience? Do you have the opportunity to participate in an internship or externship? Alaska Culinary Academy – Seward - at the Alaska Vocational Technical Center (AVTEC). The Professional Cooking and Baking program is accredited by the American Culinary Federation. You could follow in the footsteps of other student chefs and use this program as a steppingstone directly to the University of Alaska Culinary Arts degree program AND transfer your credits. Courses are designed for students fresh out of high school or for working professionals. University of Alaska – Fairbanks, Anchorage - Various degree programs are available for would be chefs and future hospitality professionals. The Associate’s of Applied Science in Culinary Arts degree is the perfect hands-on cooking degree for creative culinary devotees who want to add some educational credentials to their bag of tricks. The program provides a thorough background in classical cooking techniques and gives students the proper tools to evaluate flavors. Imagine earning your Bachelor’s degree in Hospitality and Restaurant management in Anchorage? This and other food related baccalaureate programs like Dietetics provide food service professionals with the advanced skills required to enter the field at the mid to upper management level. Kodiak College – Get a business degree at this community college while you are honing your culinary skills on the job. Open restaurant, dazzle guests, and succeed in spades, any questions? Kenai Peninsula College – A fantastic Small Business Management Degree program might lay the perfect foundation for a restaurant entrepreneur who wants to go into his or her venture with the business confidence required to operate a restaurant.